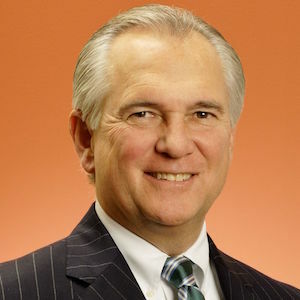 Consistently ranked as one of the region's top trial lawyers, Gary B. Mims has been helping clients in Virginia and the Washington, D.C. area for over 40 years. As a plaintiff's lawyer, he represents individuals and their families who have suffered catastrophic and life altering injury through the negligence of others. Gary's experience covers the spectrum of personal injury cases, including medical malpractice, car/truck/train accidents, premises liability, and product design and manufacturing defects. He has successfully represented clients suffering injury and death by a massive train wreck, defective golf course design, and a defective storm retention pond, among others. Gary has a special interest and significant experience in medical malpractice. He was named the Best Lawyers' Medical Malpractice Lawyer of the Year, as voted by his peers. He has successfully represented clients in complicated cases involving failure to diagnose cancer, failure to diagnose stroke, defective joint prostheses, anesthesia-related injuries and harm suffered pharmaceutical drugs, weight-loss drugs. Success in medical malpractice cases requires deep knowledge of medicine, as well as of the law. Through these complex cases, Gary has developed relationships with some of the nation's leading medical experts, who have helped him secure favorable outcomes for his clients. For the first half of his career, Gary was a defense litigator, defending companies and their employees in personal injury cases. Having spent 20 years defending the same types of cases he now pursues on behalf of his clients, Gary has unmatched expertise in identifying actionable negligence, anticipating defendant tactics, negotiating fair and deserved settlements, and litigating cases through trial to a beneficial outcome for his clients. Gary has earned many accolades during his distinguished career but his greatest reward is earning justice for his clients. Gary often goes beyond seeking justice in the form of compensation. Sometimes, justice takes the form of negotiating and securing changes in policies and procedures needed to prevent a victim's injuries from being repeated.